A Redbird family enjoys the many activities at Sibling Weekend 2016. 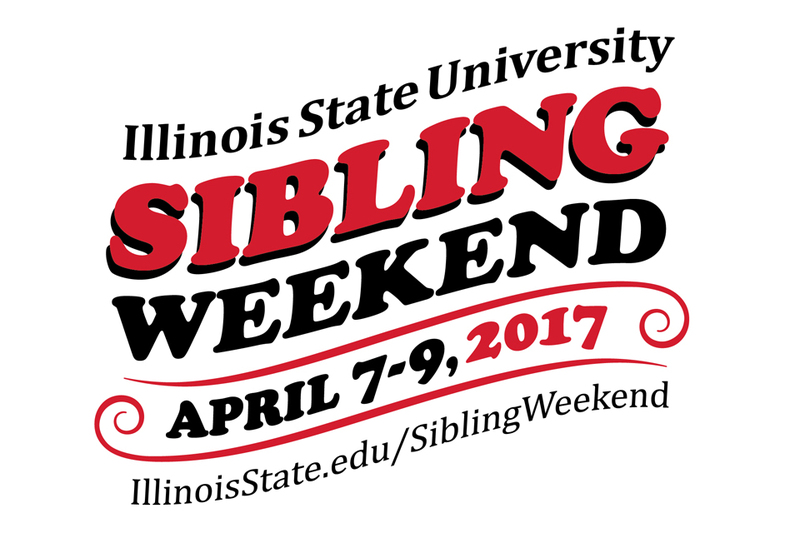 Illinois State University’s Student Alumni Council will present Sibling Weekend 2017 April 7–9. This annual tradition brings together Illinois State students and their siblings for a wide variety of events. Be sure to check out all of the fun activities happening during the weekend for Redbirds of all ages! The 88th anniversary of Illinois State’s Gamma Phi Circus highlights the weekend’s activities with shows at 7 p.m. Friday, April 7, and Saturday, April 8, and a 1 p.m. Saturday matinee. Regular priced tickets can be purchased through the Redbird Athletics Ticket Office, online, or at the door during show weekend. Special discounts are also available for Illinois State alumni. Before the Saturday matinee, Student Alumni Council invites students and siblings to attend the sixth annual Sibling Carnival. This popular Sibling Weekend tradition is kid-approved and open to everyone that has a youth ticket to the matinee show. The carnival includes a variety of games, face painters, prizes, and fun for kids of all ages. University Program Board (UPB) will also host a variety of events starting with laser tag in the Brown Ballroom on Friday from 8–11 p.m. Then on Saturday students and their siblings can bring a blanket, head to the Quad, grab pizza and popcorn and enjoy a movie starting at 8 p.m.
Also be sure to stop by the Bone Saturday afternoon from 1–4 p.m. to celebrate the 10th anniversary of the Fear the Bird Shirt with games and treats. 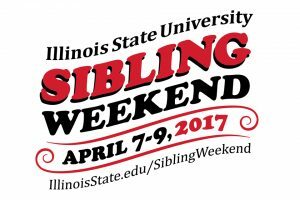 Learn about additional Sibling Weekend events including Children Discovery Museum discounts, Redbird softball games, free meals with Campus Dining, and more.